How Can We Avoid Gum Disease? Two things related to periodontal disease often surprise people: How many people will develop the disease and how easy prevention can be in many cases. How can we avoid gum disease, which can affect more than 65 million people in the United States? By recognizing the early warning signs and taking steps to avoid the onset of the disease, you can often successfully prevent gum disease. Question: How does the disease differ from gingivitis? Answer: Gingivitis refers to a mild or early stage of gum disease. Patients develop sore, red gums that may bleed easily when brushing or flossing their teeth, as well as bad breath. In this stage, the issue can be treated. However, once the issue progresses into full blown periodontal disease the only option is to manage the disease. Question: What happens if the issue isn’t treated early on? Answer: Without treatment in the early stages, the symptoms can worsen as periodontal disease develops. Soon, periodontal pockets may deepen, leading to receding gums. 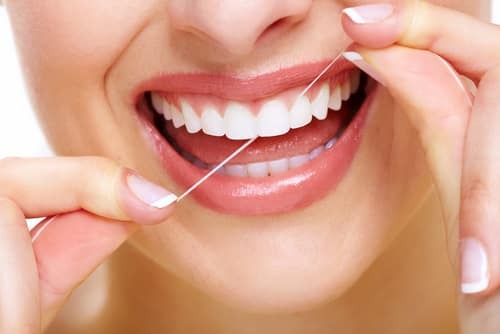 In the later stages, known as periodontitis, the connective tissue between the teeth and gums actually deteriorates, leading to a high risk of adult tooth loss. Question: What preventive measures does the doctor offer? Answer: The doctor can often remove plaque from the teeth via scaling and root planing. A more thorough form of a dental cleaning, this is often performed in segments and removes plaque from the surface of the tooth and the exposed portions of the roots. In addition, the doctor may recommend ozone therapy and supportive periodontal maintenance (SPT). Question: What can we do to avoid periodontal disease? Answer: You can take steps from home that reduces your risk of gingivitis and gum disease. First, always brush and floss your teeth daily. You should also avoid smoking and see the dentist for routine dental cleanings.